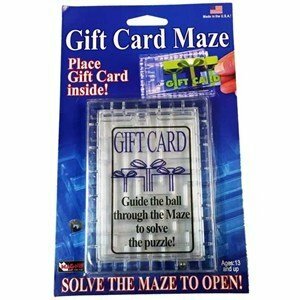 The Gift Card Maze™ is a 3-dimensional maze with two levels. Lift the lid and remove the anti-locking tab. Place a gift card in the maze and lock it in place. 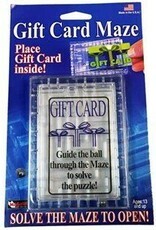 The recipient must guide a ball through the maze to solve the puzzle and retrieve the Gift Card.